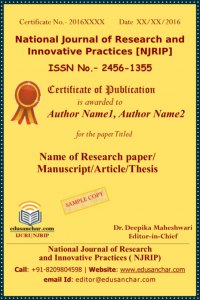 If the paper does not reach the reviewing stage, the reviewing debt will be cancelled and the authors peer reviewing obligations will be waived. 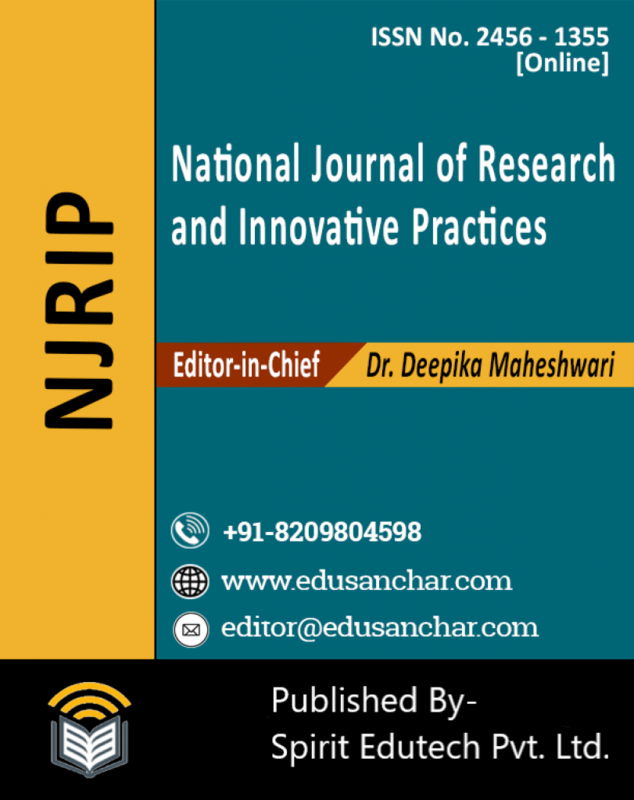 There are no refunds or cancellation of debts if the beneficiary withdraws his or her requirement from consideration; or if he or she declines to provide sufficient information and cooperation and do not obey the rules and regulation of Edusanchar.com( IJCRI / NJRIP ). 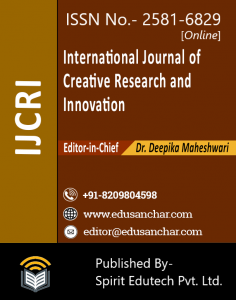 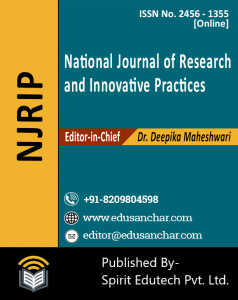 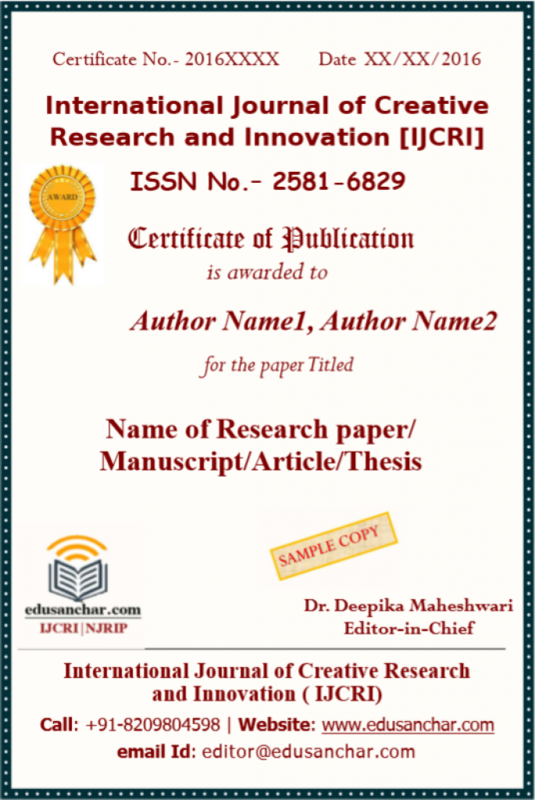 Terminology – IJCRI means International Journal of Creative Research & Innovation and NJRIP means National Journal of Research & Innovative Practices. 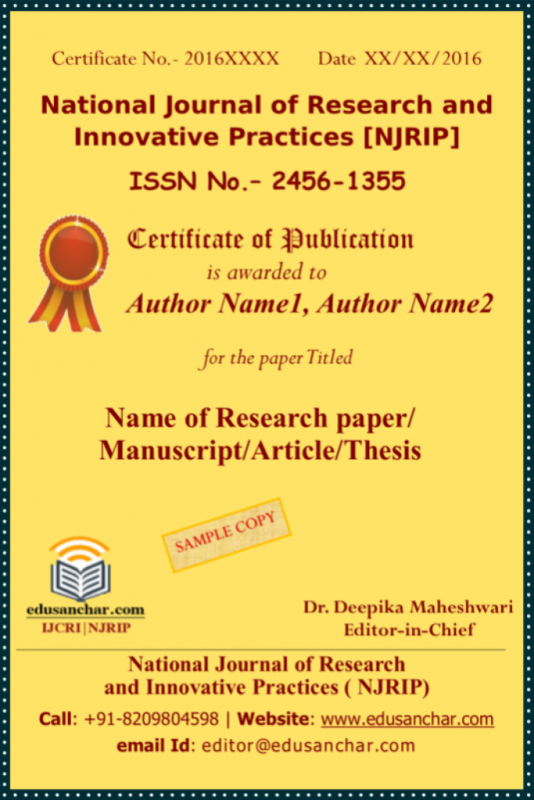 The submitted/enclosed paper is thoroughly proof read by me and in conformity with the instructions to authors communicated to me (as per EDUSANCHAR.COM( IJCRI / NJRIP ) submission guidelines at http://www.edusanchar.com( IJCRI / NJRIP ).com). 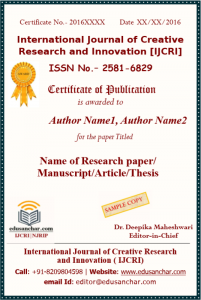 The undersigned agrees to indemnify and hold harmless EDUSANCHAR.COM ( IJCRI / NJRIP ) from any damage or expense that may arise in the event of a breach of any of the warranties set forth above. 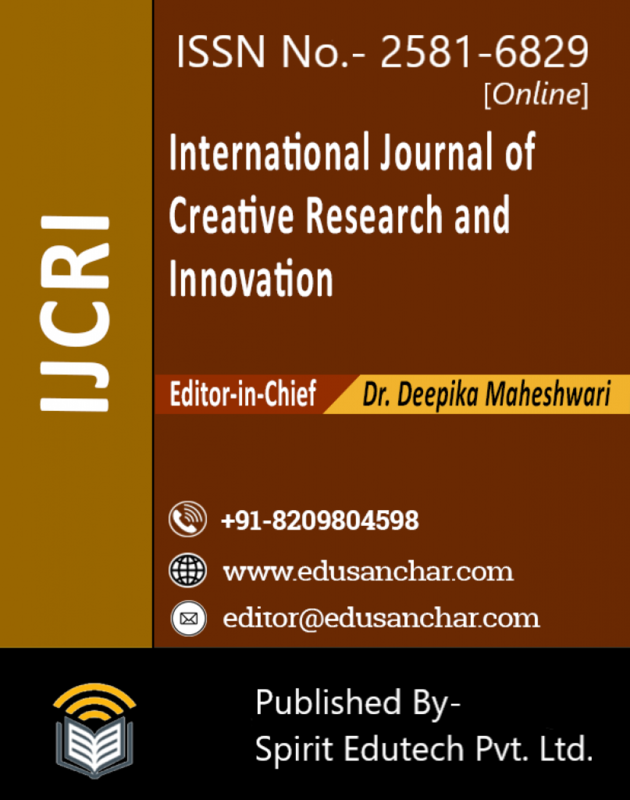 In the event the above work is accepted and published by EDUSANCHAR.COM( IJCRI / NJRIP ) and consequently withdrawn by the author(s), the foregoing copyright transfer shall become null and void and all materials embodying the Work submitted to EDUSANCHAR.COM( IJCRI / NJRIP ) will be destroyed.